On the left of this comparison an image made by Bill Keel with the 90cm SARA telescope, on the right my 36 - 5 minute exposures on December 25, 2008, SQM reading 20.4 mag/square arcsec. My image was resized (150%) and the SARA image was reduced in size to compare them more easily. 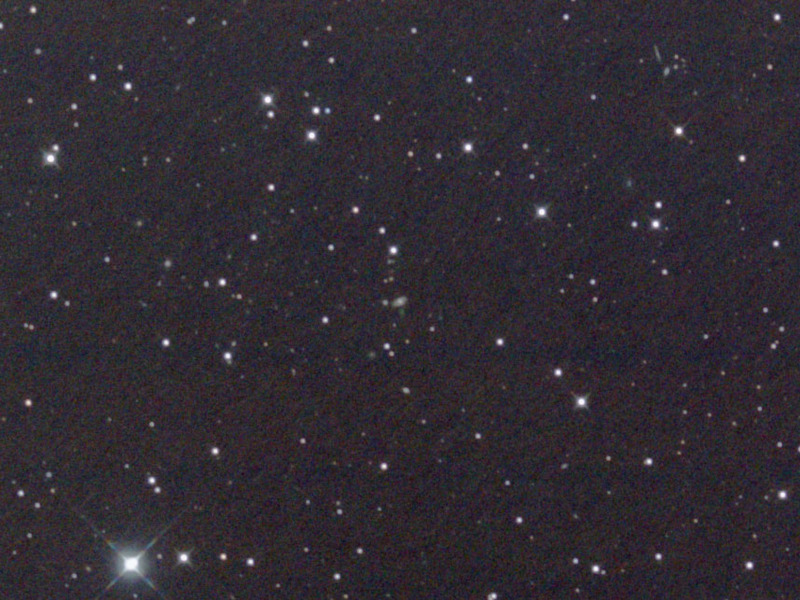 This image was made with a modified Canon 40D, and a 20cm (8") f/2.75 ASA Astrograph. 100% crop from the original image. Click on the image for the full size image. 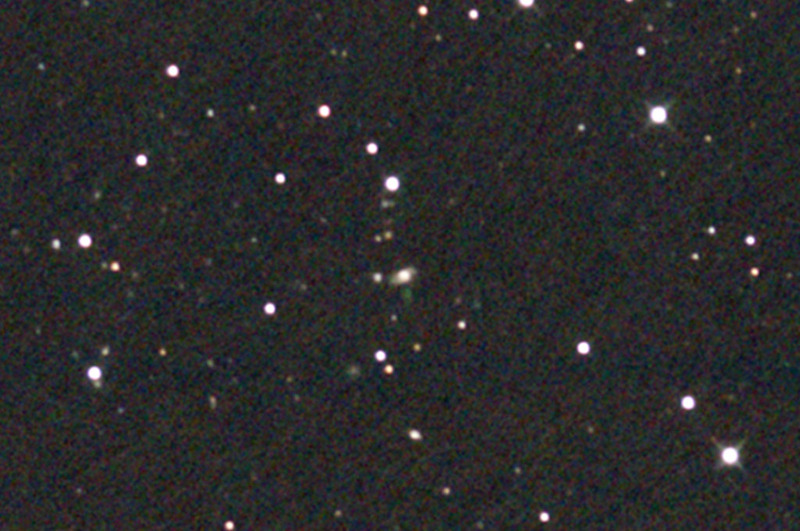 There are lots of galaxies in the image. Search for Hanny's Voorwerp near the middle of the image. The red, green and blue "worms" are defects in the camera sensor. 200% resized crop from the original image.